PBS Distribution just announced the upcoming release of Endeavour: Series 3 to be released as part of their Masterpiece Mystery! series, bringing the British who-dunnit to Blu-Ray and DVD in August. Set in the rapidly changing climate of 1967, three months after Donald Campbell’s ill-fated attempt to break the 300-mile speed barrier on water, four all-new episodes follow a young detective Morse (Shaun Evans), as he and his partner, Detective Inspector Fred Thursday (Roger Allam), investigate crimes around Oxford. Arriving on two discs, the release will contain all four episodes that make up the third installment of the series. “Ride” plays in March 1967 as a country fair turns sinister when young bus conductress Jeannie Hearne is found brutally murdered in the Oxfordshire countryside. DC Endeavour Morse isn’t part of the team called in to investigate her murder; instead, he’s brooding over his suspension from duty, pending an inquiry. But when Jeannie’s body turns up near his doorstep, he begins his own covert investigation, uncovering a disturbing secret that is hidden in plain sight. In “Arcadia,” taking place one month later, the death of an artist in a horrendous house fire leaves Oxford City Police baffled. Then when a young housewife dies, seemingly of a mysterious ‘tummy bug’ that has sickened half of the police force, DC Morse’s investigation leads him to an inner-city supermarket, owned by a wealthy Oxford family riven with personal and professional problems. “Prey” takes us to June of 1967, to a missing persons case of a Dutch au pair that proves far from routine, pulling Endeavour into the dueling worlds of Oxford scientific academia, the city’s vast parks, Night School and the untamed wilderness of the Oxfordshire countryside. Connected to the investigation is an august family of three troubled siblings. 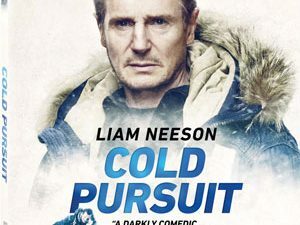 When a suspected link between the au pair’s disappearance and a cold case from years back is unearthed, unconventional methods in that investigation created fraying tensions across the police force. As the body count rises, Endeavour deduces that there may be darker forces at play. Finally, in “Coda,” detective Morse is occupied with unexpected strife in his personal life. Recruited by a college mentor to monitor the movements of his estranged younger wife, Endeavour finds himself drawn to the woman he is investigating. The grisly murder of a man who works in fashion causes a shakeup in Oxford’s criminal underworld. Meanwhile, Endeavour considers his future on the force, leading to an agonizing conclusion to the series. 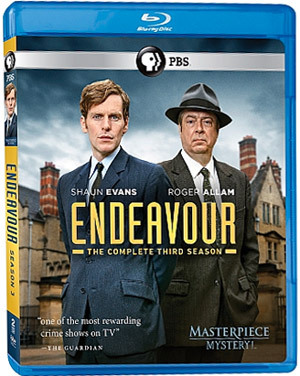 “Endeavour: Series 3” will arrive on August 23 and can be yours for $49.99 on Blu-Ray Disc and $39.99 on DVD.